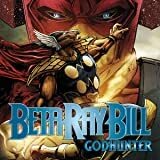 Collects Beta Ray Bill: Godhunter #1-3 And Secret Invasion Aftermath: Beta Ray Bill - The Green Of Eden. SECRET INVASION has ended. The Skrull armies have been routed and destroyed. 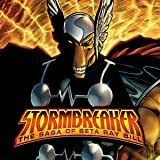 In the wake of his battle in aid of Thor and Asgard, Beta Ray Bill has departed Earth once more, to bring justice and order to the stars. But when Bill becomes savior of a space-faring alien colony, he'll discover that perhaps -- just perhaps -- it's possible to be too much of a hero. 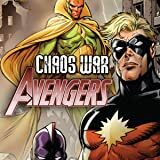 CHAOS WAR tie-in! The Vision. Captain Mar-Vell. Yellowjacket. Deathcry. Swordsman. Dr. Druid. 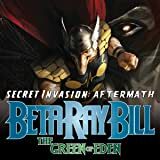 When Earth's Mightiest Heroes are taken out, these six find themselves mysteriously resurrected, to re-assemble against the Chaos King! 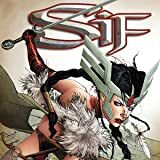 The Asgardian warrior Sif was no stranger to battle, but when Asgard and its people made their glorious return through the power of Thor, Sif's body was stolen and possessed by crafty Loki and since, Sif hasn't been her true self. 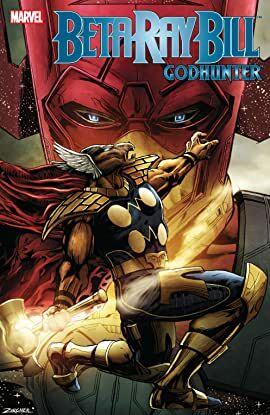 Now Sif sets out with Beta Ray Bill to fight her way back to true warrior's glory!